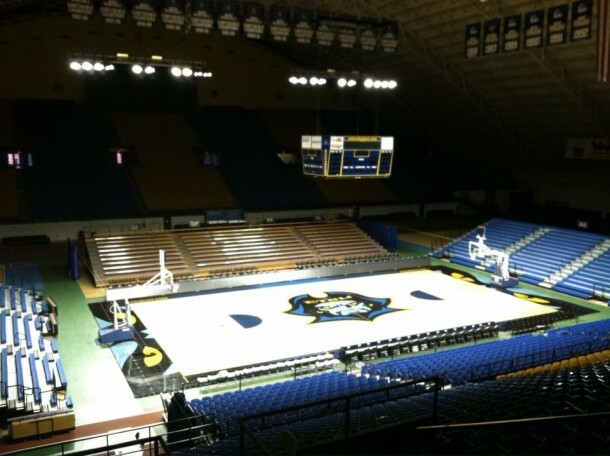 The ETSU Facebook page posted this photo a few hours ago of the new lighting and banner setup inside of the mini dome. I think it looks good but I was also under the impression that more seating would be added around the court to close up some of those open spaces. It also seems kind of dark in the upper stands behind the benches and bleachers. I’m assuming that part will be more lit up during game day. Overall I think it’s a nice improvement. My only complaint is I hope more and better seating will be added to surround the court better. What is everyone else’s opinion? The additional seating will be added next season. Thanks that’s good to know. I wish we could have done this 10 years ago but better late than never I guess.